Luther and Nora Krank are fed up with the chaos of Christmas. The endless shopping lists, the frenzied dashes through the mall, the hassle of decorating the tree... where has all the joy gone? This year, celebrating seems like too much effort. With their only child off in Peru, they decide that just this once, they'll skip the holidays. They spend their Christmas budget on a Caribbean cruise set to sail on December 25, and happily settle in for a restful holiday season free of rooftop snowmen and festive parties. 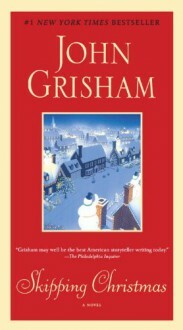 But the Kranks soon learn that their vacation from Christmas isn't much of a vacation at all, and that skipping the holidays has consequences they didn't bargain for... A modern Christmas classic, Skipping Christmas is a charming and hilarious look at the mayhem and madness that have become ingrained in our holiday tradition.BONUS: This edition includes an excerpt from John Grisham's The Litigators.